Fall is a wonderful time of year to update your family portraits. Mini sessions are perfect for families that do not have time for a full session. 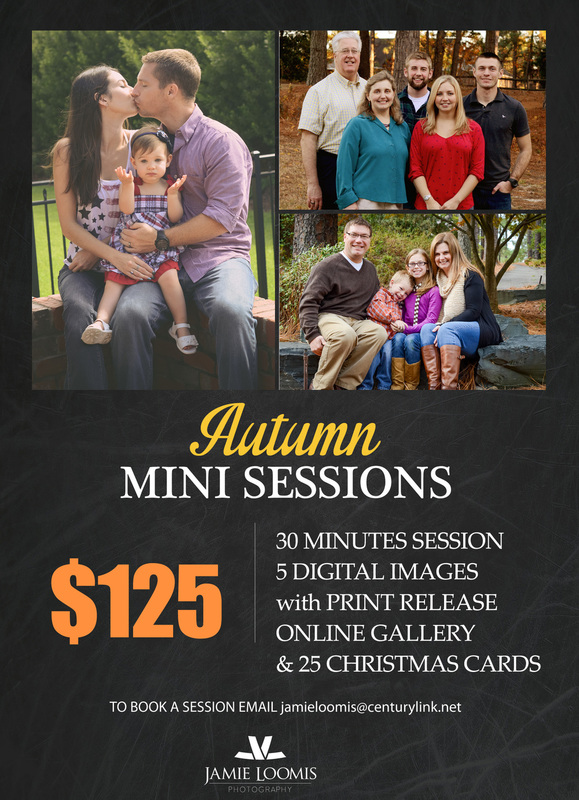 Mini sessions are usually booked with the holidays in mind; prints and canvases are great gifts for family members. Please contact me to schedule your session. Pinky Promise Mini Sessions to raise money for Breast Cancer Awareness Month!